Tattooed rugby players will be asked to cover up during next year’s World Cup in Japan to avoid offending people, the sport’s governing body has said. In Japan, tattoos have long been associated with the notorious yakuza crime syndicates and inked tourists can find themselves barred from traditional communal hot springs, or onsens. Players are being asked to wear vests when using gyms or pools. Tattoos are common among players, especially Pacific Islanders. But tournament director Alan Gilpin said there had been no objections from teams. “When we raised it with the teams a year or so ago, we were probably expecting a frustrated reaction from them, but there hasn’t been at all,” he said. “We have done a lot in the last year or so with the teams to get them to understand that. The New Zealand All Blacks have confirmed that their players – many of whom sport full or half-sleeve tattoos – will comply. “When any of our teams tour we endeavour to be respectful of the local customs and culture, and this will be no different when we visit Japan both this year and next year,” New Zealand Rugby chief rugby officer Nigel Cass told news website Stuff. In 2016, Japan’s tourism agency called on spas in the country to relax their rules, pointing out that there are major cultural differences between how tattoos are viewed at home and abroad. The organisation suggested that onsens and bath houses could offer visitors stickers to cover up their tattoos, or set aside specific times of day when tattooed bathers can use the facilities. A 2015 survey found that 56% of hotels and inns did not allow tattooed guests to use communal bathing facilities. Tattoos have not always had a negative image in Japan, but they became linked to the yakuza, or Japanese mafia, in the 1960s after a deluge of films showed heavily-inked gangsters. 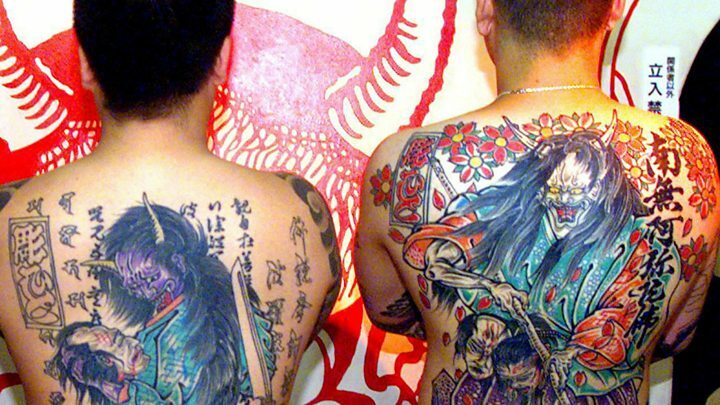 The yakuza gangs have been part of Japanese society for centuries and have an estimated 60,000 members.